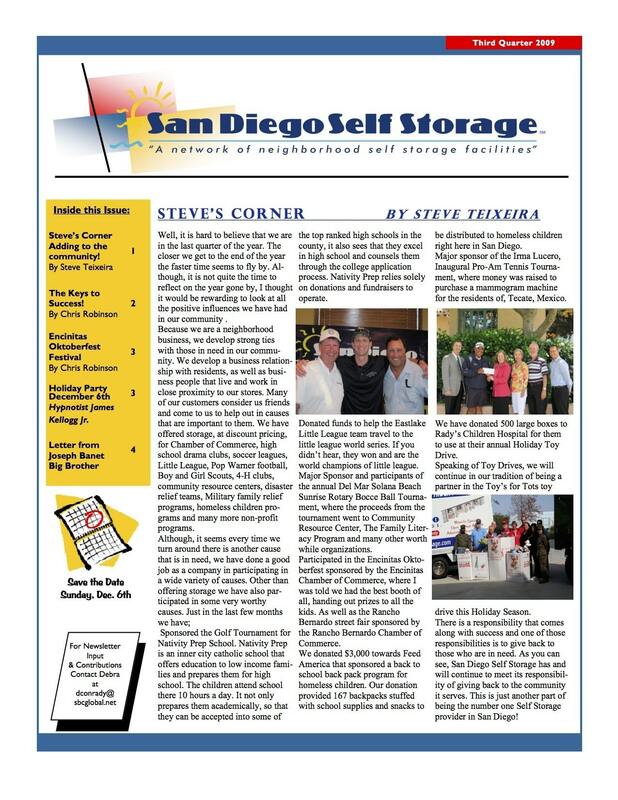 At San Diego Self Storage, we pride ourselves on making a difference in the communities we serve. We engage in a variety of projects throughout the year that benefit non-profit organizations, and we encourage our employees to participate in the implementation of these heartfelt activities. We work with many local charities by providing affordable, accessible and convenient storage units; Little League, local soccer leagues and community libraries, among many others. We also provide discounted moving supplies, which makes for a one-stop shopping experience. During tumultuous times such as natural disasters (wildfires, floods), our managers become true counselors; our goal is to minimize the stress associated with storing items under duress. Our storage counselors advise both existing and potential customers in the "art and science of cost effective storage." The counselor's goal is to make it easy as possible by listening to the client and then fitting their needs correctly, quickly and professionally. Overall, our philosophy is to provide help and support whenever the need arises. 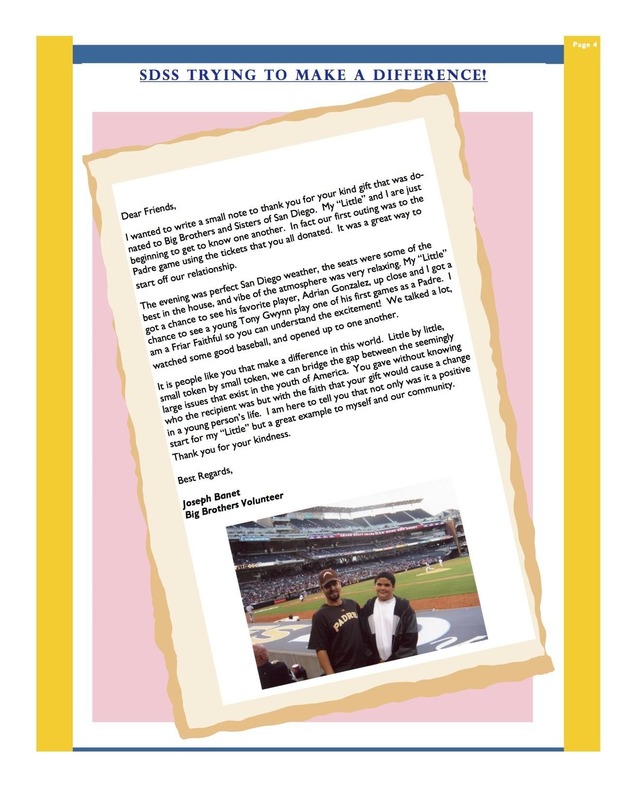 We recognize that local charitable organizations devote themselves to improving the lives of others and we, in turn, applaud their efforts through our community outreach efforts. Visit the San Diego Self Storage Press Room YouTube channel so you can stay up to date with how we are involved in our local communities! Additionally, we proudly support our Armed Services by providing discounts to all active military over the age of 18.